LAKE BUENA VISTA, Fla. -- Photos shared on social media on Friday show a construction crew installing a fence on the beach at Disney's Grand Floridian Resort where a 2-year-old boy was attacked by an alligator on Tuesday night. 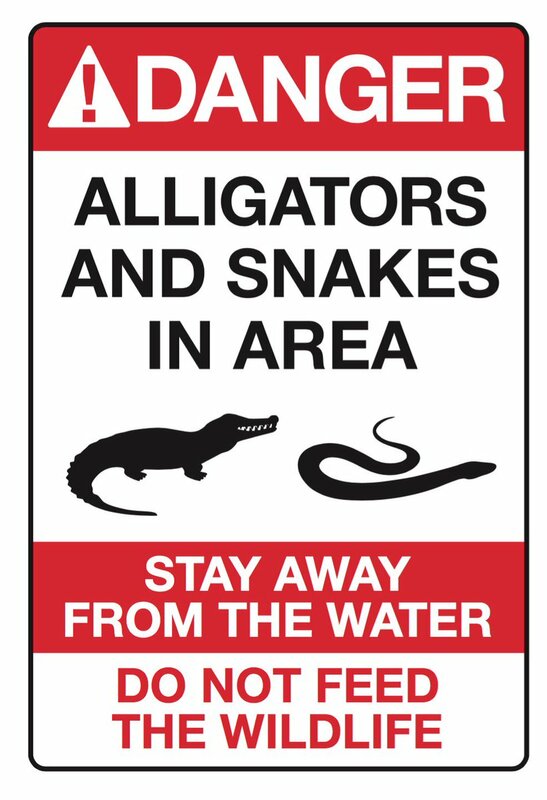 Alligator warning signs will also be put up near all the waterways at Walt Disney World resorts following the death of a 2-year-old boy who was dragged into a lagoon. It's unclear whether the signs will also be installed on Friday. We are installing signage and temporary barriers at our resort beach locations and are working on permanent, long-term solutions at our beaches. We continue to evaluate processes and procedures for our entire property, and, as part of this, we are reinforcing training with our Cast for reporting sightings and interactions with wildlife and are expanding our communication to Guests on this topic. A dive team found 2-year-old Lane Graves dead on Wednesday. Graves died due to drowning and traumatic injuries, the Orange County Medical Examiner's Office said Thursday. The Graves family was at a movie night outdoors Tuesday night at the Grand Floridian resort when the boy waded into about a foot of water in Seven Seas Lagoon, authorities have said. Witnesses, including the boy's horrified parents, tried to save him as a gator dragged him underwater, witnesses told authorities. Search crews combed the water for hours before they found the toddler's body. The gator responsible might be dead -- but authorities aren't sure. Search teams captured and euthanized at least five alligators as they searched the water for the boy, officials said. Forensics teams will try to determine whether one of the alligators already taken from the lake is the one that dragged off the boy, officials said. One method will be to compare bite marks to the teeth of the gators. If not, the search for alligators in the lake will continue. "We're going to make certain that we have the alligator that was involved, and that we remove it from the lake," Florida Fish and Wildlife Conservation Commission Executive Director Nick Wiley said. Spokeswoman Tammy Sapp said the investigation was ongoing as of Thursday afternoon. The boy's parents, Matt and Melissa Graves of Elkhorn, Nebraska, issued a statement on Thursday. "Words cannot describe the shock and grief our family is experiencing over the loss of our son. We are devastated and ask for privacy during this extremely difficult time," they said. "To all of the local authorities and staff who worked tirelessly these past 24 hours, we express our deepest gratitude." As word spread about the toddler's death, friends and neighbors in the family's hometown offered words of condolences and support. "Matt's family is the light of his life and his family's anguish is our own," the statement said, according to CNN affiliate KMTV. "What happened last night was a terrible accident and one that is devastating to the entirety of Infogroup." The family's church, St. Patrick's Catholic Church in Elkhorn, posted a message to parishioners on its website. "It is with a heavy heart," the message said, "that we inform you of a tragic loss in one of our parish families. ... Please honor their privacy at this time and keep them in your prayers." The tragedy has shaken the community, said Norman Hale, principal of Elkhorn St. Patrick's School. "It's unimaginable, the grief and what they're going through right now," he told CNN affiliate KETV. As of April, only one other major alligator attack had been reported in the state this year, according to the Florida Fish and Wildlife Conservation Commission. That person survived the attack, but required medical care. According to the wildlife commission's website, at least 23 people have been killed by Florida alligators since 1973. That includes several children. One was a 4-year-old girl who in 1988 was killed while walking along the edge of a lake in Charlotte County. Another was 10-year-old Bradley Weidenhamer, whose parents said they can relate to what Lane Graves' parents are going through. Bradley died when an alligator grabbed him and dragged him into the Loxahatchee River in Martin County on June 20, 1993.